Your patio is a meeting place for friends and family, it’s your own little outdoor spot for recreation and relaxation. Unfortunately, the hot summer sun can make this area too hot for you to enjoy, and can leave the patio to sit unused for most of the year. 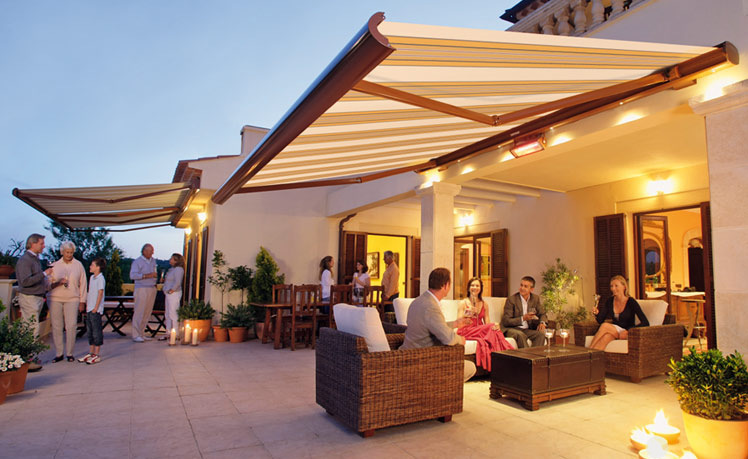 With a made to measure retractable awning from Shutters Boutique, you can block out the sun and provide all-day shade over your outdoor haven. Bring the family away from their computers and televisions and back out into the fresh air, listen to the birds, relax with a book, have a romantic meal or just chat with friends at the table – all without being made uncomfortable by the hot summer sunshine. Consider adding LED lighting to your awning and you can even enjoy your patio in the evening hours once the sun has set. 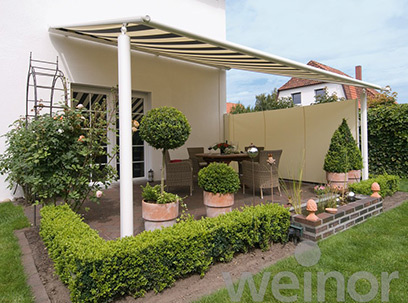 Made to Measure Awnings for the Home and Garden. Awnings are a wonderful addition to a new home, or as part of a home remodel. It can also be a very quick and affordable way to spruce up your garden without requiring much effort. 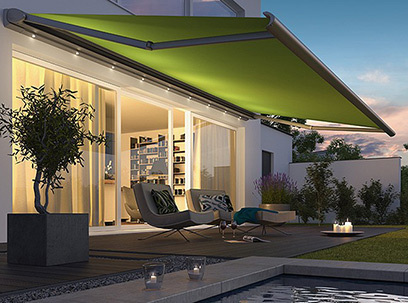 Wild Orchid is offering a new line of motorised and retractable awnings for your patio, balcony or conservatory. Available in a wide range of fabric patterns and frame colours you are sure to find the perfect match for your home. 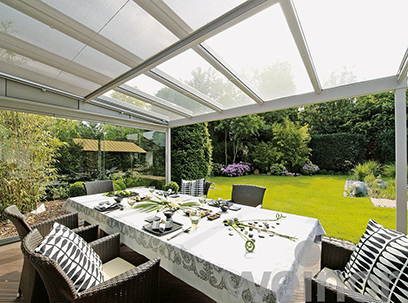 Awnings are a great way to protect you from the sun, and it allows you to enjoy your patio or conservatory throughout the hot summer months. Cassita is a name synonymous with style and grace. 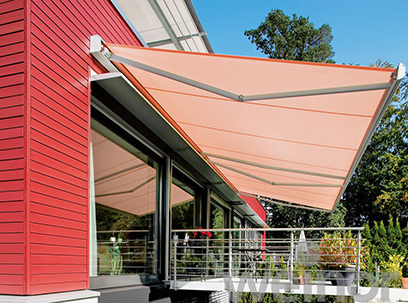 This super slim awning adds shade to your patio during the summer, and easily folds back into its cassette when not in use. The retracted awning fully fits into the sleek and elegant oval shaped cassette and never detracts from the look of your home. 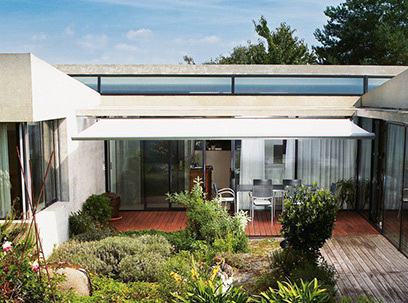 The opal design awning for homeowners who want a top class and elegant addition to their home. Opal has one to design awards and is available in more than 100 fabric patterns and 56 frame colours to match any existing décor, or to create unique outdoor element to help you stand out from the rest of the neighbourhood. Made to meet the same high standards as all of our other awnings, Topas is an excellent choice for a family on a budget. This is the perfect awning to get you introduced to the benefits of having year round sun protection without straining your finances. 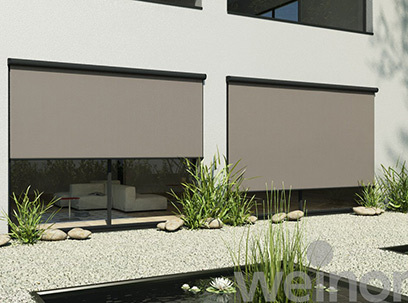 Made to measure and built to install in a variety of areas on your home. 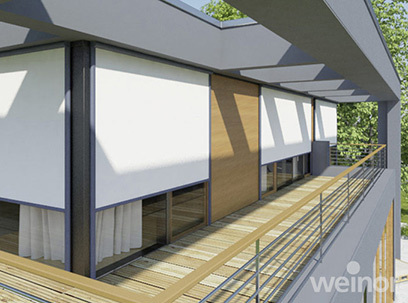 Zenara is built to cover even the largest patio or balcony up to 6 m in width, with a 4 m awning projection. Whether your home is modern or contemporary, with more than 150 fabric patterns and 56 frame colours to choose from you are sure to find a combination to match your existing décor and complement your home. 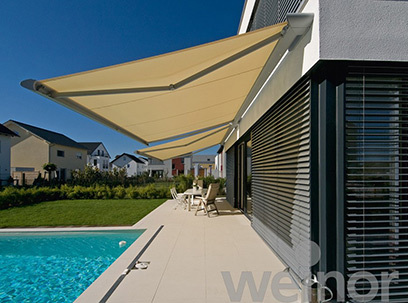 Each Semina awning is hand crafted in the UK and can match or compliment a wide range of home styles. Whether you want a contemporary colour match to your existing home exterior, or you want to add a bit of whimsy to your back garden, we can meet and exceed your expectations. Enjoy your garden until late in the season without worrying about things falling from the trees or rain ruining a nice evening outdoors. Choose a style that will match or compliment your home, and then decide on a frame colour. With more than 50 to choose from, you are sure to find one that looks great outside your home. Livona LED awnings join an existing line of classic and modern shutters available from Wild Orchid. All of our shutters have been hand-crafted by master craftsmen right here in the UK and are made to fit a wide range of existing decors and budgets. 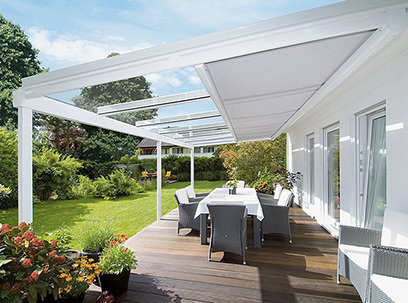 Wild Orchid is proud to offer the unique and highly versatile WGM 2030 and WGM 1030 awnings, the perfect solution for climate control around your patio or conservatory. 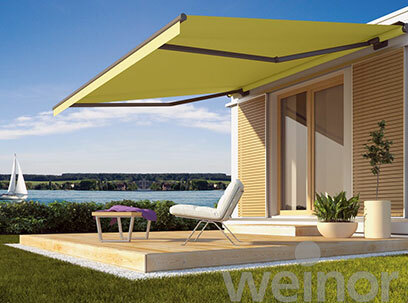 The WGM design can accommodate standard needs or be used as a special radius awning in unique situations depending on your personal needs. 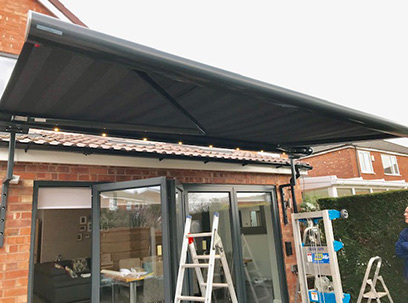 The unobtrusive design of the awning is made to measure to your specifications, and with more than 150 different fabric patterns and colours to choose from, you can find the perfect match to compliment your home. Wild Orchid offers a wide range of customisation options for your new Paravento side awning to meet your needs and compliment your existing home décor. Whether you want an unobtrusive fabric that blends in to a contemporary architecture, or are looking for a fun and bright pattern full of whimsy to draw attention to your home, you can find it in our selection of more than 150 different fabric patterns and colours. In addition, you can decide on a frame colour that matches the fabric, or makes a bold statement by standing out with something a little less than standard. The I/K 2000 is your classic style and can be used as the I 2000 which is without the back-plate, this is best for level walls and standard installation – or as the K 2000 which is with a back-plate and suitable for walls with an uneven surface such as stone. The I/K awnings are both more of a traditional style and offer an unassuming design that will not detract from your current home exterior. The N 2000 is specially made to fit into non-standard spots such as in brickwork or architecture which has niche areas or staggered construction. Three common ways to install and use your window awning include the angled vertical look of the droparm, the standard vertical such as a window shade would be used, and the markisolette that combines the two by extending vertically into a more standard type awning from your desired pivot point. As with all of the awnings we offer, you will find high quality made to measure aluminium craftsmanship with reliable motors and mechanisms. 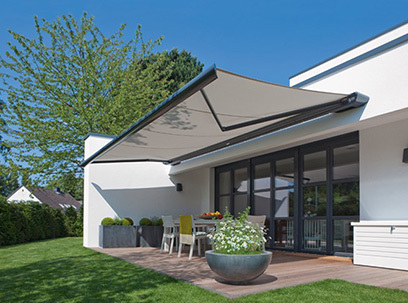 Wild Orchid awnings are all made to measure, meeting your unique specifications and have been designed to be both heavy duty and aesthetically pleasing, complimenting a wide range of homes and existing exterior décor. The innovative clamp system of our Sozzetta line keeps your awning extended to the point you set it regardless of what the wind may be doing. You can also add a bit of night time charm to your patio or conservatory with an LED light bar made to match your new Sottezza awning. Large windows on a home are wonderful, it’s a way to enjoy the comforts of the indoors while admiring nature outside. But the sun can cause uncomfortable temperature fluctuations and high glare, sending your family to another room to escape it. 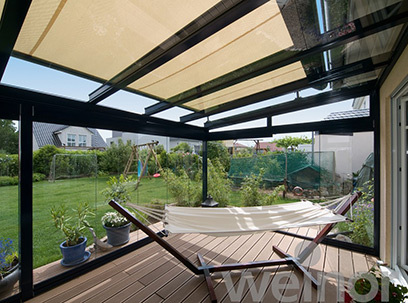 With a vertical awning, you can adjust the coverage of each window to allow in as little or as much sun as you like. Fabric is UV resistant, easy to clean and rolls up to hide away in a tiny cassette.